Last week, an article in the Washington Post announced a new program of the Obesity Action Coalition (OAC) to fight obesity bias. They want the media to change from portraying obesity in a negative unflattering light, which they are known to do. They want the media to use more positive images when portraying obese people and the OAC is providing them with free stock images to use when showing obese people. The photo with this article is an example of one of these images. As OAC’s James Zervios points out, the headless bodies with plates of junk food often used in the media promote a false stereotype about overweight people that is abusive as well as untrue. Many overweight people are hard-working citizens who eat healthy foods and are attentive to their health needs. They are not fat, lazy and stupid, an image the media is used to promoting. At the same time there is a fat-acceptance movement you may have heard of that also fights bias and discrimination against overweight people and promotes acceptance of the condition as well as the people who have it. In the Washington Post article, Zervios maintains that “Obesity is a disease whose sufferers are no different from those afflicted with breast cancer or asthma”. This leads many to take the position that there is nothing that can be done about it, and that people who are overweight should accept it. Is Obesity Something we should Accept? I am a clinical member of both the Obesity Action Coalition and The Obesity Society, an association of health professionals that treat obesity and its related medical conditions. I am also a behavioral therapist who solved my own 25-year obesity problem and helps others to do the same. While I am a staunch supporter of efforts to fight obesity bias and discrimination, I disagree completely with Zervios’s position that obesity is a disease no different from breast cancer and asthma. Obesity can be reversed. By adopting habits of eating less, obese people lose weight and lose the medical problems they have because of it. It is not a matter of “perhaps” it can change. It will change, no if’s and’s or but’s. Cancer and asthma have no similar guaranteed way to get rid of the condition. While creating change in habitual and addictive behavior can be difficult and complex, it can be done. There is no guarantee that the person can easily change, but it can be done. Like it is with alcohol and drug abuse, when the behavior changes, the problems caused by the behavior resolve. In 30 years, I have never had a patient not lose weight when they are able to eat less. I and thousands of my patients, clients and readers have reversed our obesity and the medical complications of it. Please don’t let people think that being overweight and sick with it is acceptable. Don’t let them think that getting better is beyond their control. They need not be ashamed or abused because of it, but they need not stay overweight either. There is a sure-fire way to reverse the condition, unlike cancer and asthma. William Anderson is a Licensed Mental Health Counselor who specializes in weight loss, eating disorders and addictions. 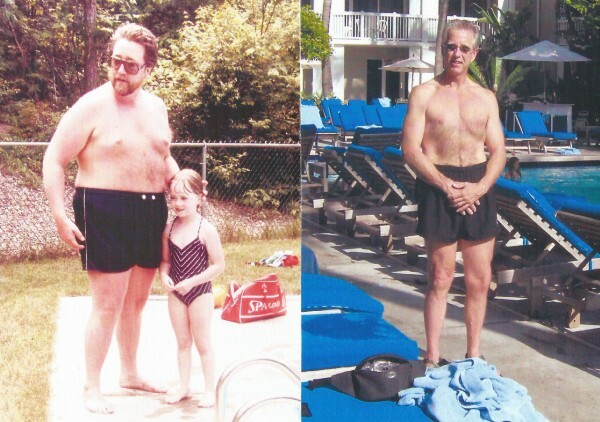 He solved his own long-time weight problem, losing 140 pounds 30 years ago and has kept it off since. He is the author of The Anderson Method. Posted in Articles Published on The Huffington Post, Is Obesity Acceptable?